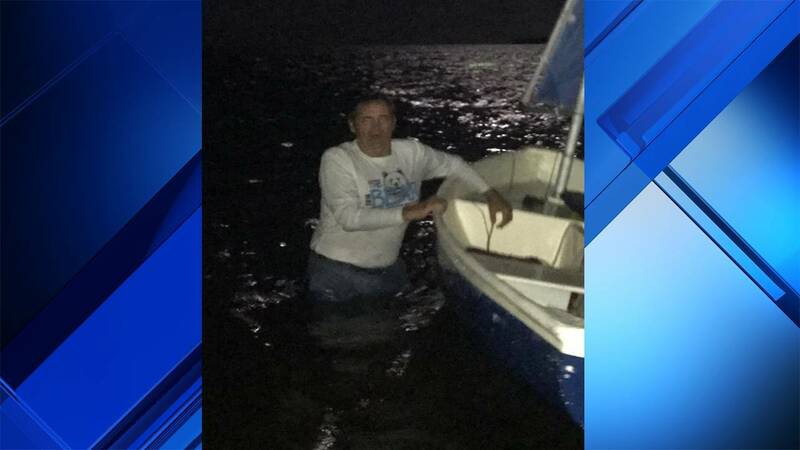 MONROE COUNTY, Fla. - The U.S. Coast Guard rescued an overdue boater Monday morning off the coast of the Florida Keys. Coast Guard officials said Robert Vonnegut, 62, was reported missing Sunday night by his son. Vonnegut's son told authorities that his father had departed from Sunrise Drive around 10 p.m. Sunday on a 10-foot blue and white sailing vessel, but never returned. Crews from a Coast Guard Station Islamorada 33-foot special purpose craft, a law enforcement boat and a Coast Guard helicopter assisted in the search for Vonnegut. Officials said he was found Monday morning in his boat about two miles south of Tavernier. Vonnegut was taken to land on a Coast Guard vessel. He did not suffer any injuries, authorities said.